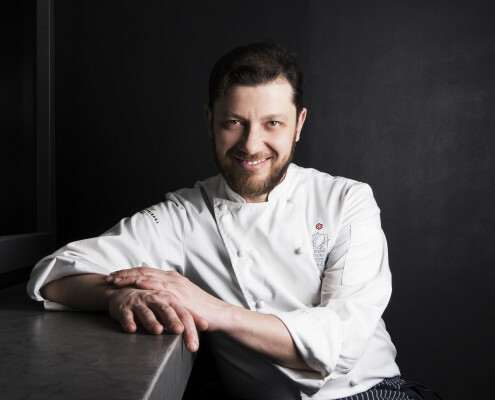 The Chef Giulio Terrinoni was born in Fiuggi in 1975. His family owned a restaurant of typical local cuisine. 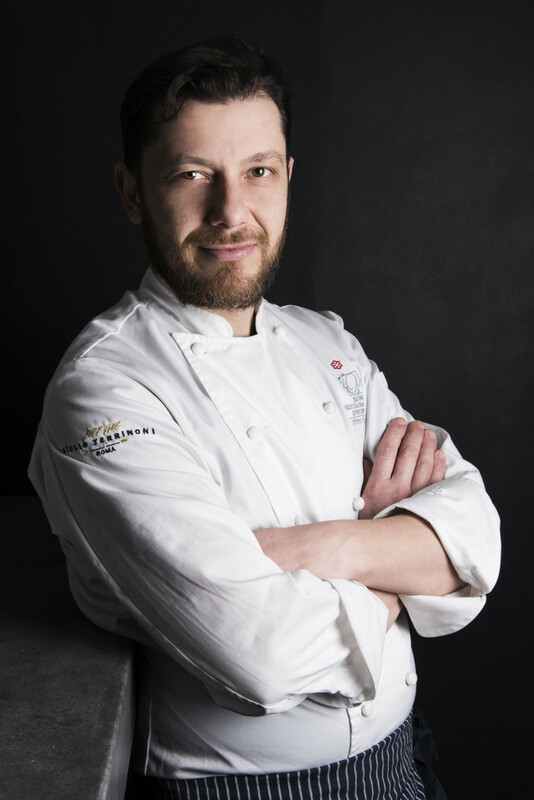 He attended the Hotel Management School then he began his Chef career in many hotels nearby Fiuggi. His first important experience was in the Grand Hotel Palazzo della Fonte in Fiuggi. 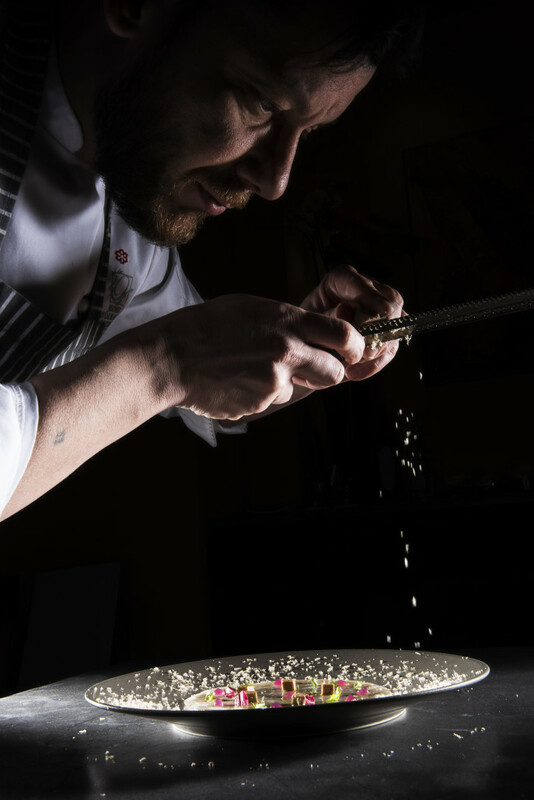 He moved to Rome and he worked in an international kitchen at the Sheraton Hotel. 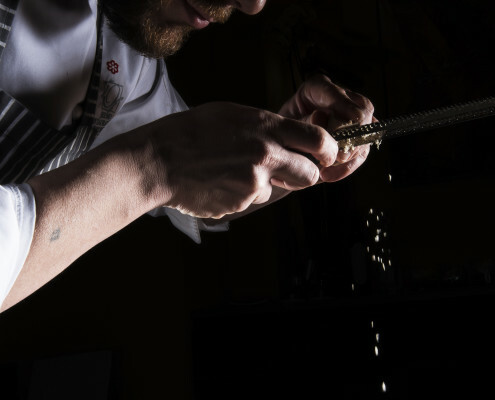 Then he came back to Fiuggi for working in Mr. Antonio Ciminelli staff at La Torre where he learned the organization of a first class restaurant. During a refresher course met Fabio Tacchella, he had the opportunity to work with him. 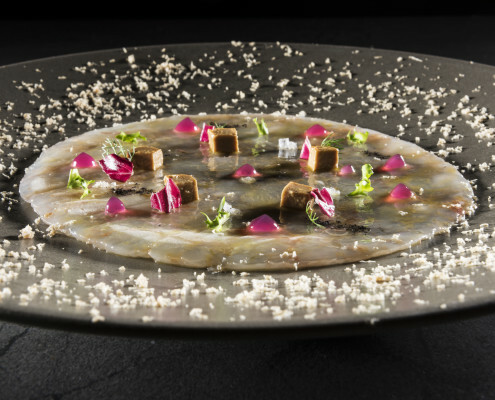 That was an important meeting that gave to Giulio Terrinoni the opportunity to gain experience in an absolutely innovative cooking.Then he moved again to Rome for participating to the opening of ES hotel, as Second Chef and, after one year, he was called by Panda Restaurant in Rome as Executive Chef. During this three years was born Acquolina Hostaria in Roma project. A public success crowned by the Michelin Star in 2009. 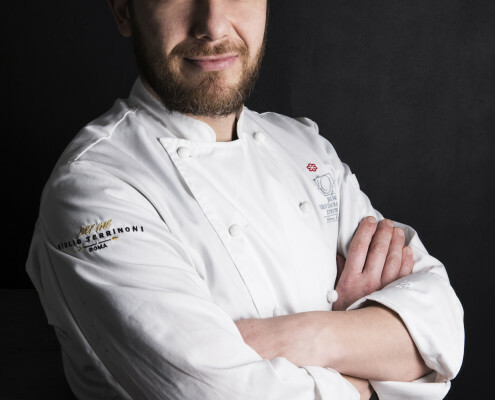 In 2010 Chef Giulio Terrinoni entered in JRE Jeunes Restaurateurs d’ Europe circuit. In 2013 He published his first autobiographical book L’importanza del Riccio. He attended numerous TV shows such as Eat Parade Cucine d’Italia, Uno Mattina, La Prova del cuoco and Alice TV. 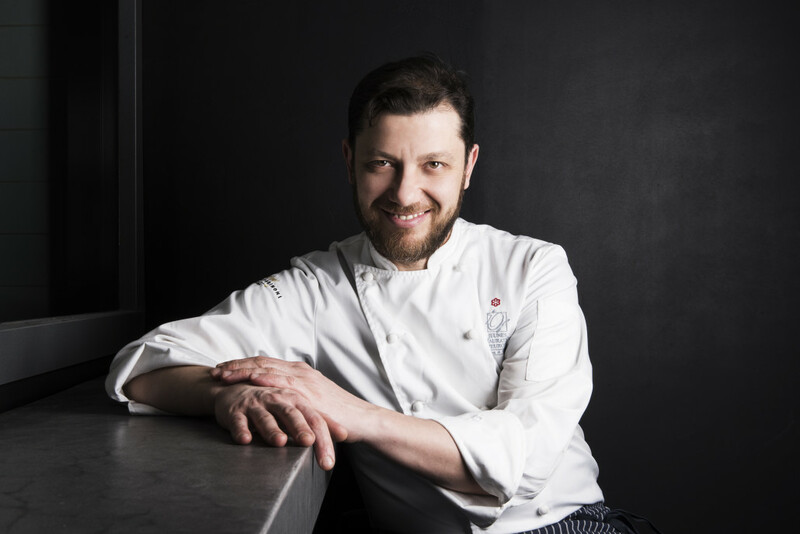 His work led him to consolidate his position as lecturer at the most prestigious cooking schools like Gambero Rosso; At the same time He had extensive experience in restaurant consulting both in Italy and abroad like in Rome, Moscow, Island, NY. 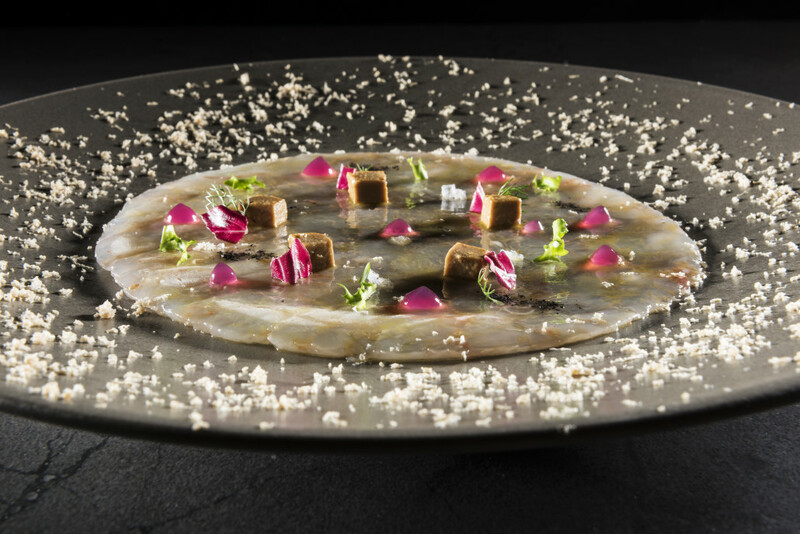 Ambition, passion and personal dreams leads him to open his own restaurant Per Me Giulio Terrinoni in November 2015, that gained the prestigious Michelin Star after only 11 months of activity!